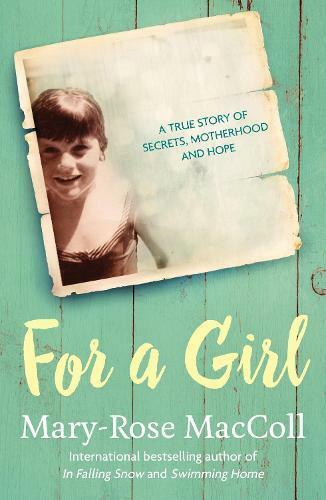 For a Girl is the story Mary-Rose MacColl has been writing around all her life. Its themes – of sexual misconduct and secrets – have driven her critically acclaimed novels, Falling in Snow and Swimming Home. In this heartbreaking, compelling memoir, she unpacks her experience of being groomed and taken advantage of as a young girl, by her teacher and her husband, resulting in a pregnancy and adoption – and a lifetime of feeling ashamed and unsafe in the world. In For a Girl, she wrestles with trying to understand what happened to her, and somehow untangle its effects from her relationships with her husband and son. MacColl is good friends with fellow Brisbane writer Kris Olsson, who similarly explored themes of loss and family disconnection in two novels, before directly confronting the personal subject that haunted her (in the award-winning memoir Boy, Lost). For a Girl has a similar sense of deeply layered, nuanced self-interrogation, the product of decades of connection to its subject; its storytelling is a powerful blend of raw immediacy and deliberately distant reflection. Also like Boy, Lost, this memoir is a valuable contribution to the broader story of lost children, fragmented families and abuse of power in recent Australian history. In the book’s early pages, MacColl reflects on her mother’s life, wondering what ‘had knocked her from happiness to unhappiness’. In For a Girl, she implicitly tries to answer that question for her own life, and to create the circumstances where she might return to the happiness last captured in a photograph of herself, aged ten, at a swimming pool. ‘We are not a normal family but we are starting to be happy,’ she writes of her present self. The past is not erased – it never can be – but this extraordinary book charts one woman’s process of diluting its power to shape her future.